Pat Gallagher's amazing sports marketing career has culminated with a book about his experiences pulling off Super Bowl 50, called Big Game. Bigger Impact. Co-authored with Stephanie Martin, Gallagher shares the background of the SB50 campaign, including dealing with the various issues around getting the Bay Area to support such an endeavor. 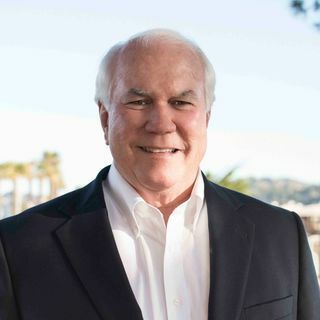 Gallagher talks about his sports marketing career with the San Francisco Giants, how he sold Candlestick Park, and how that helped him when trying to ... See More get the National Football League to buy into SB50 happening in Santa Clara.